Signs Visual prints custom vinyl banners for outdoor and indoor advertising. These types of banners are great for advertising real estate space available, grand openings, construction information, temporary way-finding use, retail outlets, and more. Advertising signage is key to displaying your branding and communication identity. 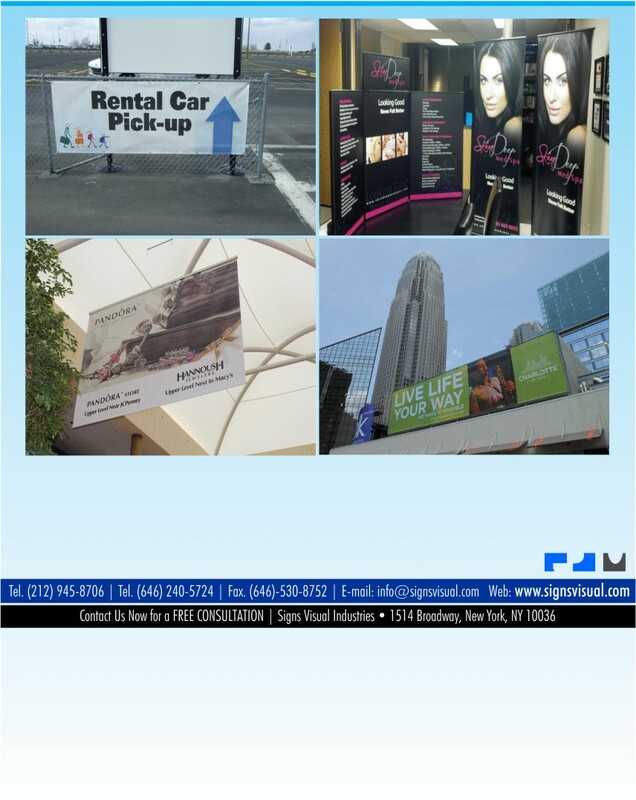 Contact Signs Visual today to get a free quote on your next advertising banners project in NYC!